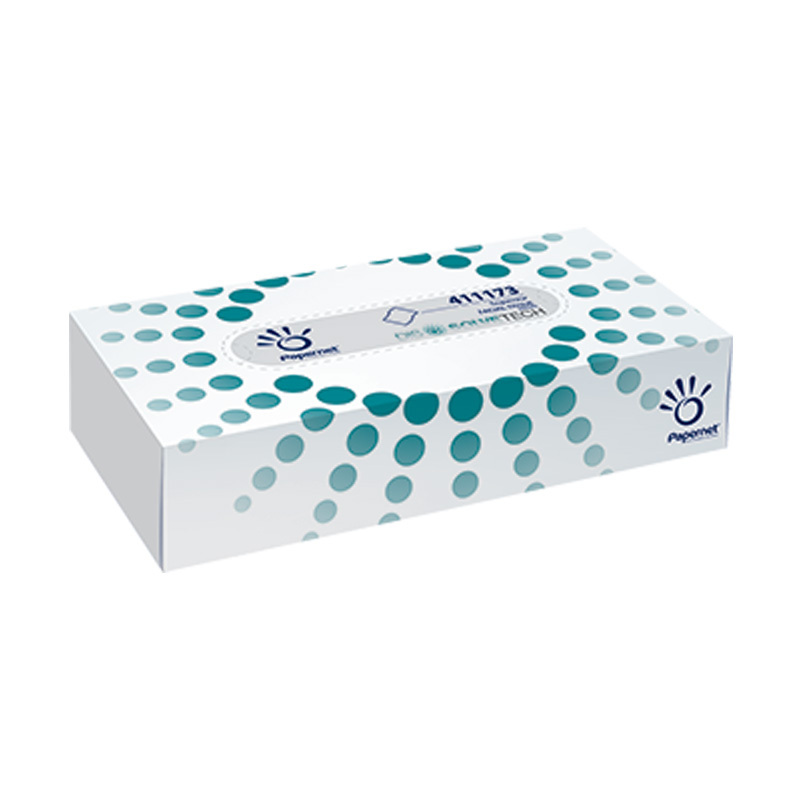 Cosmetic tissues, 2-ply, tissue, high white, sheet size 21cm x 20.5cm, zigzag folding, 100 tissues per box. Suitable for all commercially available cosmetic tissue dispensers. Packaging unit = 100 pcs.